Happy 150th, Canada! You don't look a day over 4 billion. Which Canadian-authored books sold the most in Canada? We assume that every author has a Google alert set up for their name, but just in case we're wrong: if you see your favourite authors on the list, send them a tweet or Facebook message to let them know! And, if you want to figure out just how many of these 150 books you've read, you can take the quiz right here! S. E. C. R. E. T.
Robert Munsch appears on this list the most times of any author. He's written 35 of the titles on the list! 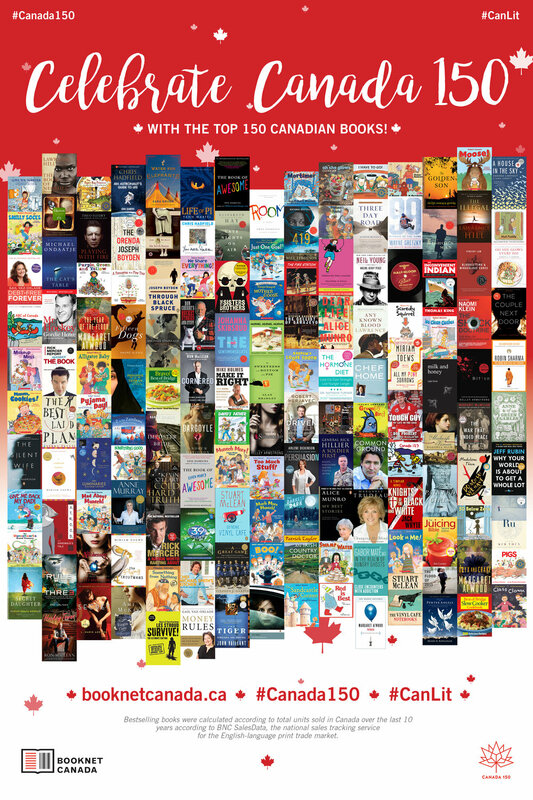 That means 23% of the top Canadian books are Munsch titles. He's one prolific and beloved author. Margaret Atwood is second-most frequent author. She has four titles that made the list: The Year of the Flood, The Handmaid's Tale, Oryx and Crake, and her Massey lecture, Payback. Kelley Armstrong, Joseph Boyden, Chris Hadfield, Lawrence Hill, Alice Munro, and Miriam Toews all have three titles each. The subject breakdown is a pretty even split, all things considered, with 54 Fiction titles, 49 Non-Fiction titles, and 49 Juvenile titles (of those, 47 are Fiction and two are Non-Fiction). Biography & Autobiography is the largest category of Non-Fiction titles, followed closely by Cooking. How did we get these titles? The bestselling books in this list were determined by calculating the total units sold in Canada over the last 10 years according to BNC SalesData, the national sales tracking service for the English-language print trade market. * We rely on publisher-supplied metadata feeds to identify Canadian titles in our lists, by use of the Canadian contributor marker. Newer PostWho is the Romance Book Buyer?